Ikebana, Japanese flower arrangement, is one of the most important and recognized traditional arts in Japan. However, most of its details have been hidden or not well understood, which is in contrast to the case of Sado, the Japanese tea ceremony. The number of the literature of Ikebana is much less than those of Sado. While the ikebana exhibition can be seen rather frequently (usually much more than Sado), they usually do not express the theory of Ikebana clearly, unfortunately. On the other hand, many of us should have unconsciously experienced the very heart of Ikebana, when we take a tiny flower or branch with us, and we find that the air around us becomes lucid and we get to feel better. This simple observation should represent the deep core of Ikebana. In Ikebana, a small flower interacts strongly with surroundings; the surroundings are affected by the flower and the flower is affected by the surroundings. The surroundings can be an architecture, the season, a vessel, a humidity, a sent of the clay, a morning impression. As a self-organized property of this complexly interacting system, something nice, sometimes called as beauty, emerges. This is the main mechanism of the system of Ikebana, in very short. Starting from the aesthetics, Ikebana has eventually reached the philosophy of the universe. However, why in, and only in Japan, the Ikebana system was born and worked? Why can this system work even with a tiny single flower or branch? 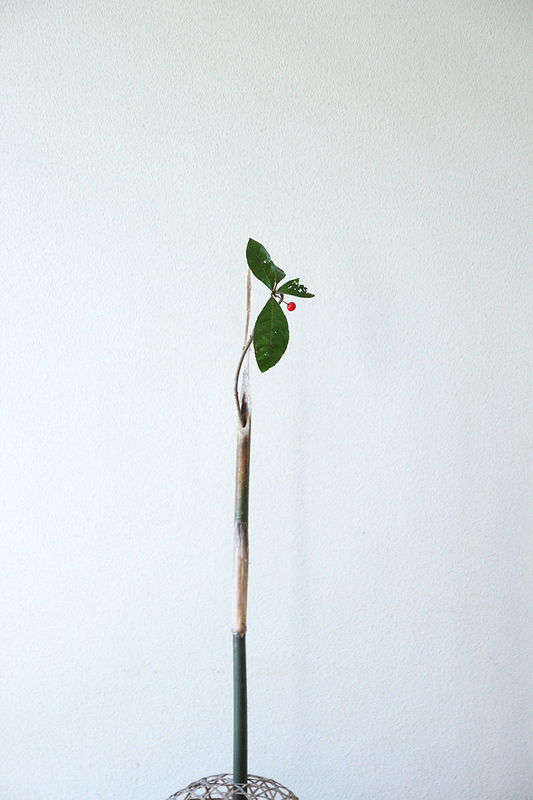 Considering Ikebana leads to a better understanding of Japan and how to live a nice life. They are just practically useful in our daily life. 1. いけばなって、なんでしょう？/ What is Ikebana?